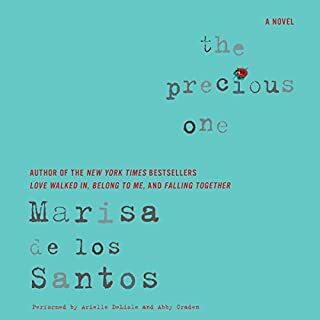 Award-winning poet Marisa de los Santos crafts an irresistibly touching debut novel. 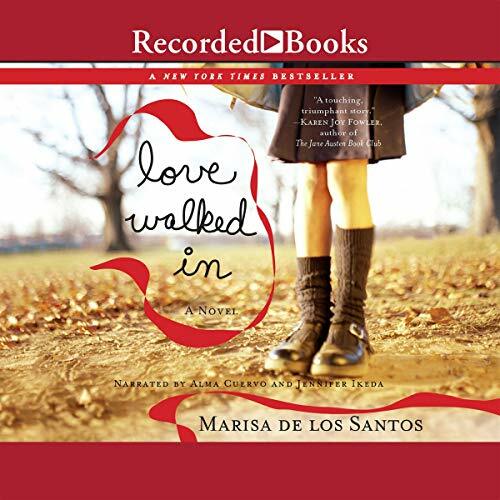 Love Walked In is a contemporary tale, steeped in nostalgic, cinematic charm, of love in all its forms. 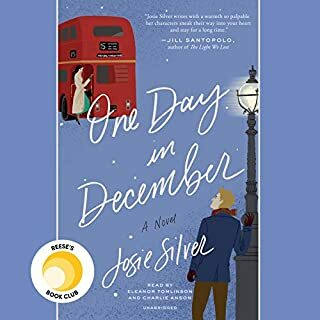 Unapologetically idealistic about love, Cornelia Brown appears to catch the break of a lifetime when the dashing Martin Grace, her own personal Cary Grant, comes strolling into her life. 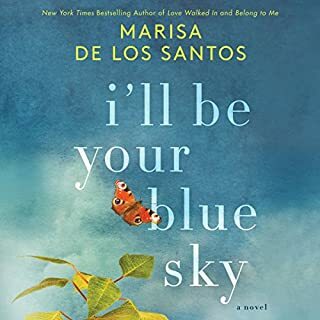 But it is Martin's connection to 11-year-old Clare Hobbes that touches Cornelia's heart in ways she never imagined. Jennifer Ikeda IS Cornelia Brown, one of the novel's main characters. Even reading the sequel in print, I could hear Ikeda's rendition of Cornelia speaking in my head. Her bubbly voice perfectly fits Cornelia, who is witty, a hopeless romantic, and such a relatable, likeable character that I almost jumped for joy. Claire, the other protagonist, a bright, serious, and lonely 11 year old who strives for order, is another well-rounded, well-written female character who instantly found her way into my heart. The dramas in this novel, which are for the most part the ordinary dramas of lives colliding, are given to us in such lovely, goofy, (mostly) believable packaging. I found that even when characters were driving me CRAZY or clearly doing the wrong thing, I could totally understand where they were coming from, which is a rare gift in storytelling. There isn't much about this story that's challenging. It's a good book to curl up in bed with and nurse a cup of tea. What disappointed you about Love Walked In? "Belong to Me" is one of my favorite books, so I thought another one by the same author would be a no-brainer. After listening for a couple chapters, I realized I had read this book sometime in the past. I don't think I finished the book either. I've only read books by her before. What didn’t you like about Jennifer Ikeda’s performance? The voice she used for Martin made me nuts every time I heard it! It totally didn't fit with his "movie star" gorgeous persona. I love Claire's character, but the rest are too "dreamy" to be believable. Tiresome. Trite. Dimestore philosophy and literary references that add nothing to story. A few cute scenes and characters wrapped around sentimental cliche. 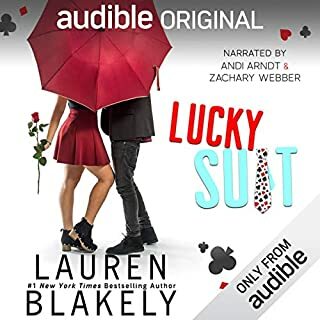 While the story was lovely and the characters engaging the whole book was ruined by poor audio quality. There were constant "breakthrough" laughs and chatter. Bad form for an expensive book. After the other reviews I was hesitant to get this but I REALLY liked it! The narrators both capture the characters, the thoughts, the emotions, the tone. Cornelia is at first surprisng, and yet once you get to know her, the narrator sounds just like you think Cornelia should. And Claire's narrator,not a child at all, portrays the thoughts and feeling perfectly. There are some very poignant thoughts and the narrators really do bring to life the main characters. The interepretation of the male voices was not as great (especially Tao) but they're passable. 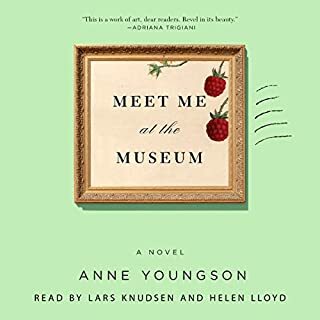 The story is simple and yes, predictable, but the thoughts and the observations throughout are interesting, sweet, and touching and, I thought, worth the experience. the recording quality is terrible. sounds like it was recorded in someone's basement with a party in the background. story too wordy and predictable. I loved this story- it was my first book by this author and I like her complex characters. 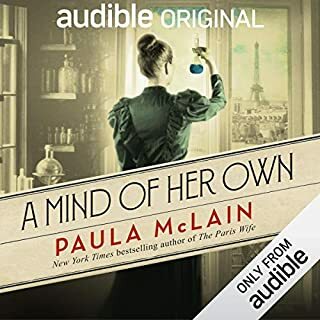 The narrator who did the voice of Claire, however, was not very professional- there was a lot of background noise while she read- laughing and talking in the background, it was very distracting. Other than that I’d highly recommend this story. I love this book. It's been one of my favorites for years--the writing is wonderful! The recording, though, is just okay. The quality isn't great, and the voice of Claire misses the mark a bit. That being said, I still enjoyed it!